Independence is important to all of us as we get older. Many people resist even talking about getting in-home support or moving to an assisted living or long-term care community until they face a serious illness or injury or death of a spouse or partner. But putting off this discussion means that arrangements must be made quickly and under stress, which is not an ideal situation. The wiser path is to start a conversation with your older parents and loved ones while they’re still in good health physically and cognitively. That gives you the chance to talk about their wishes, the type of support or assisted living community they’d prefer, and what financial plans need to be made to pay for the care they need. There are also behavior and health changes that may indicate that your loved one is having trouble managing his or her daily activities and responsibilities or that potentially serious health issues may be developing. Keeping an eye out for these changes can help you gauge when it may be time for your loved one to have more help and support or make the move to assisted living. Problems with organization: Early signs of changes in cognition can include difficulty managing paperwork such as paying bills, missing appointments, frequently losing things such as keys, forgetting the route to or home from familiar destinations like the grocery store or a friend’s house, growing piles of clutter, and failure to open the mail or refill prescriptions. Withdrawal from social situations they used to enjoy: If your parents used to get together with friends and family for regular outings or be regular movie or theater goers, but now seem reluctant to take part in social activities, it may be a sign of undiagnosed depression or anxiety. Maintaining interests and friendships is an important part of healthy aging, so if your parents are no longer connected socially, it’s important to find out why. There may be a simple solution, such as providing rides for a parent who’s no longer comfortable driving, or they may benefit from an assessment by a mental health professional. Inability to maintain their home: If your parents have always kept a clean home and well-maintained lawn and you start to notice the house is dirty, the grass unmowed, or the fridge poorly stocked, it can be a sign that they need additional support around the house. Trouble with the activities of daily living: Poor hygiene, inability to prepare meals, piles of unwashed laundry, and trouble managing medications can be signs that your parents need extra help to manage the activities of daily living. Physical decline: Have your parents lost weight without trying to or do they seem more frail? Have they had a recent fall or accident? Do they have a chronic health problem that is getting worse or doesn’t seem to be well managed? If you notice any of these signs, it can be helpful to talk with your parents’ circle of friends and relatives to see if they have noticed these or other issues. With your parents’ permission, you can also gain important insight and advice by talking with their primary care physician or other physicians who are treating them. 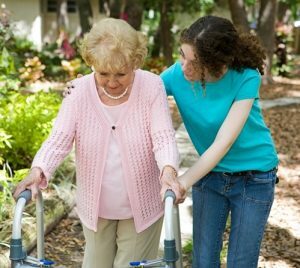 If you’re not sure whether your parents do need additional support, you can arrange for a geriatric care manager or social worker to talk with them and assess the situation.